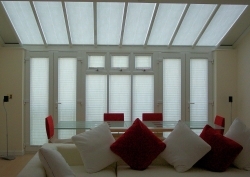 SBI supply and install a wide range of pleated blinds for windows, doors and conservatories in . We have been offering our design and installation service to provide our clients with durable practical blinds that enhance the look of their homes. 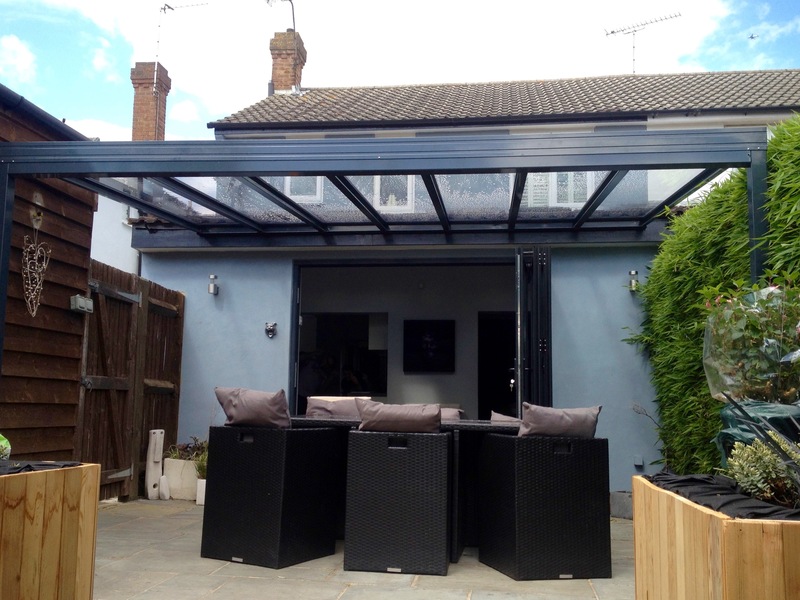 Pleated blinds come in hundreds of different colours, different size pleats, and performance fabrics that help to regulate the temperature of a room especially useful in a conservatory. Pleated blinds are also available in blackout and flame retardant fabrics that can be specified for use in commercial buildings and schools. 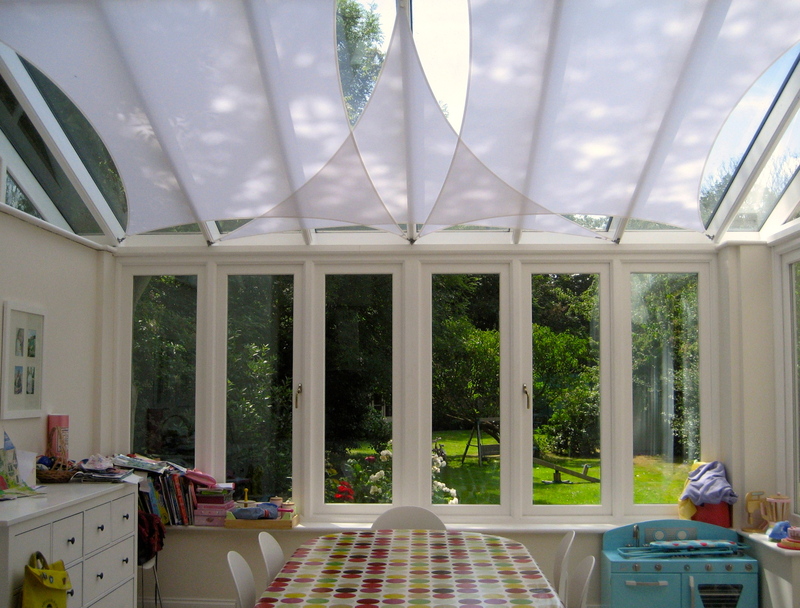 Pleated blinds can be free hanging or tensioned with guide wires to stop them from blowing around in light winds. They can also be made in Perfect Fit Frames that require no screwing or drilling as they simply clip in to the existing window or door frames. 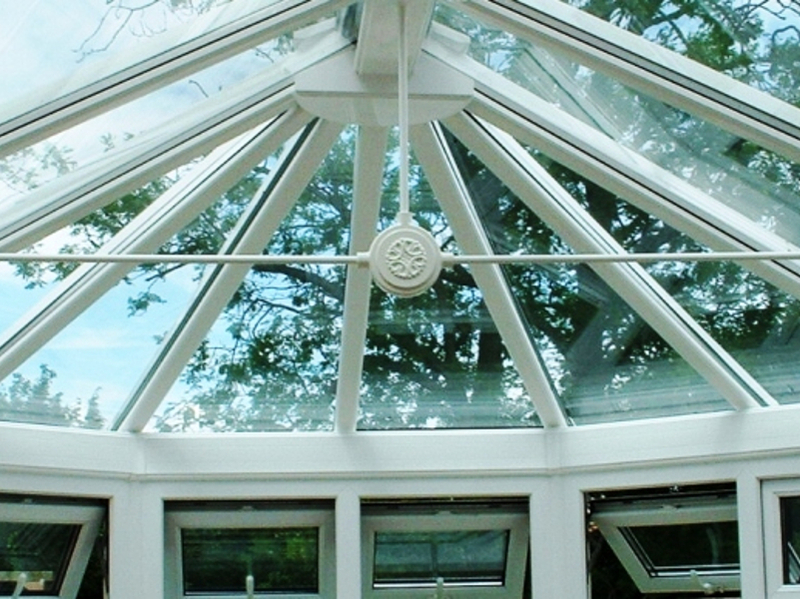 Pleated blinds are widely used in conservatories and glass building as they can be made in to many different shapes and operated by retractable poles or electrically operated by remote control for the harder to reach areas. If you need to open several pleated blinds at the same time the blinds can be put in a group and with one push of the button, open, stop or close. Pleated blinds are suitable for bedrooms, dining rooms, living rooms, kitchens, bathrooms, Velux windows, skylights and conservatories. With the correct type of pleated blind specified the blinds can also be used to help keep a room warmer by reducing the heat loss through the glazing, this type of blind is more commonly known as a thermal blind. PerfectFit blinds are good in children's rooms as they can be operated with a small clear handle and as the blinds fit flush to the window they have no hanging cords.